Bay area rapper Blanco is on a roll. Last month he released a collaborative mixtape Raw with Nipsey Hussle, a project that was produced entirely by Cookin Soul. 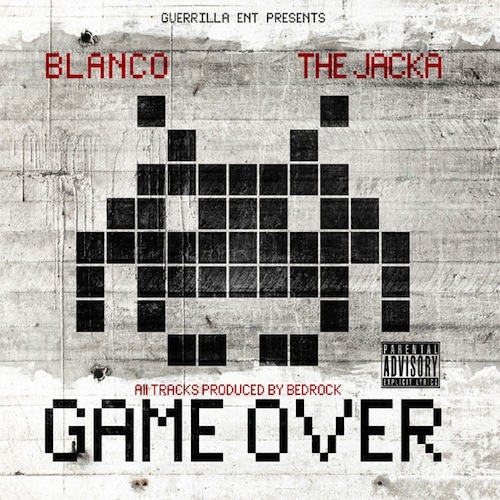 The tape has earned strong reviews, and already Blanco is back on the move with a new project, Game Over, another collaborative effort with fellow Bay rapper The Jacka and producer Bedrock. Today, he’s releasing “Punch Out,” the latest single from from that Game Over project. “Punch Out” is available via Blanco’s Soundcloud, and Game Over is now available via iTunes. Please contact Michelle or Dan if interested in talking with Blanco. Blanco (formerly Benny Blanco) is a rapper born in Berkeley, California but bred throughout the Bay Area. Fascinated by gangsta rap at an early age, Blanco began rhyming at 17. In 2004 he and his brother Winslow founded hip-hop label Guerilla Entertainment, which to date has released upwards of over 20 mixtapes and albums. As a member of rap trio The Yay Boyz with fellow label mates Taj-He-Spitz and Lil Hyfe, Blanco released Got Purp (Volumes 1 and 2), The Wizeguys, and full length album Nosebleed Muzic. He has gone on to release several solo projects, including Blanco’s Way and American Pyscho, and more collaborative albums, including Jonestown with Messy Marv and Jacka, and his latest, Raw, with Nipsey Hussle. Blanco has also collaborated with Gucci Mane, Redman, Freeway, Freddie Gibbs and Styles P, and released projects with Araab Muzik and Yukmouth.